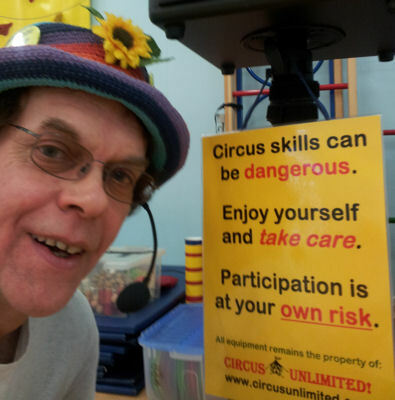 Julian the Juggler is now semi-retired from Circus activities. ...but Julian Mount's music continues! 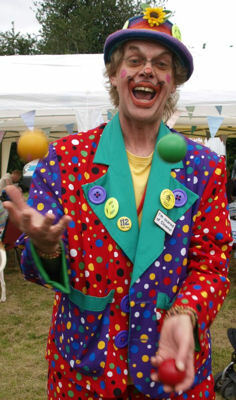 See Julian the Juggler clowning in the video below! 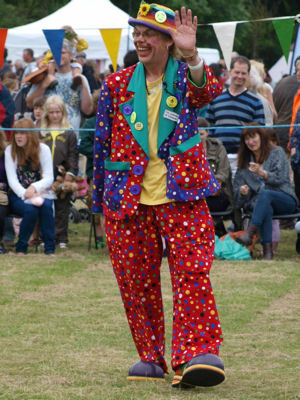 Turn up the sound to hear his Clown Song: "Big Red Noses"
Julian the Juggler is available with AND without Clown costume and make-up! of his acts, arena shows or at a Birthday Party. insurance and has been CRB checked. Don't make it a struggler. 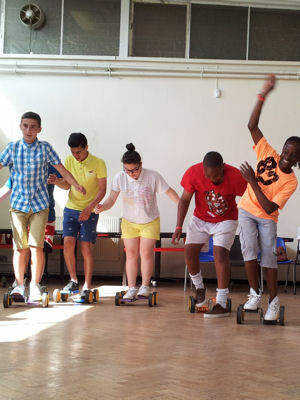 Parties are funnier with Julian the Juggler! 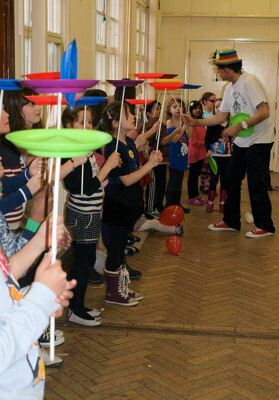 See Julian the Juggler Live On TV!